Peelings, cores, pea pods, junk mail, leaves – composting worms thrive on your scraps. 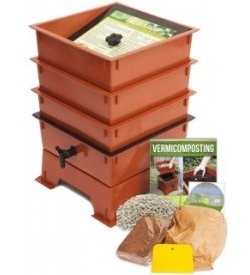 Vermicomposting with Worm Factory is simple, takes up little space and is odor free. According to the Environmental Protection Agency, Americans send 34 million tons of food waste to landfills every year. More food is put into our water system and that then has to be cleaned out when food is put down the garbage disposal. That’s a lot of wasted food and a lot of unnecessary waste placed in our landfills and water. We can cut down drastically on what we waste with a little thought, and compost what’s left. “Waste” becomes compost with minimal effort on our part and becomes useful. 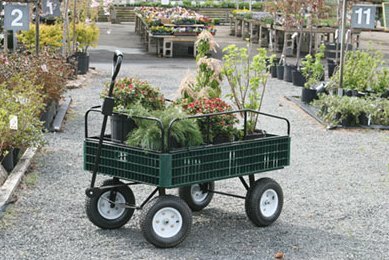 Your plants with thank you with higher production when you incorporate worm castings into your garden and potting soil. Worm castings tea is a terrific fertilizer and can be used as a foliar spray. Your houseplants will thrive, too. I’ve found a few worms in my houseplants’ pots a year after re-potting. They contribute to keeping the potting soil healthy. We’ve been using the Worm Factory 360 for six months. With three full trays of compost so far and a fourth near completion, we’re very happy with this system. It was easy to set up and takes only a couple of minutes a day to tend the worms. You shouldn’t feed your worms dairy, meat and citrus, and we recommend avoiding grass. 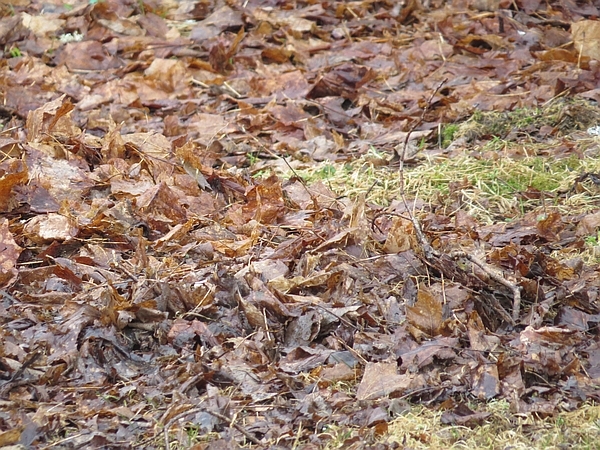 Grass mats together, heats up quickly, and causes the worms to try to escape, or die. Each Worm Factory comes with an instructional DVD, bedding and a scraper. The Quick Tips on the lid tells you what you can and can’t feed to your works, and how to manage the bin. It took about an hour to get it set up and add red wigglers (Eisenia fetida), the species of worms most often used for vermicomposting. Leachate, the liquid produced by the worms and food, collects in the bottom tray. It is drawn off through the spigot to be used as fertilizer. We have four Worm Factory setups on sale. You have a choice of three or four trays and three colors. You’ll want to choose the unit you need according to the amount of food you have to feed the worms. Red wigglers will adjust their reproduction up and down according to the amount of available food. If you have an excess of worms they can be used for fishing, fed to poultry and shared with friends. Even my goldfish get a few worms now and then. The Worm Factory 360 holds up to 12,000 worms. It’s perfect for a large family, people who cook from scratch (lots of peels, carrot tops and other whole food scraps). Red wigglers migrate between trays. If you’re leaving on vacation you give your worms a little extra food and forget about them. They’ll survive two weeks after their food supply disappears. They’re just that simple. 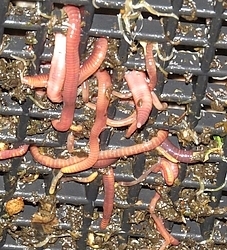 The worms shown in this photo are migrating between trays. They’ve almost finished off the food in the bottom. A few return to the bottom tray but most have moved to the top. You can see worms in various sizes. They’re reproducing well. We offer four Worm Factory setups and they’re currently on sale. Shipping is free to the lower 48 states. For other areas, give Jerri a call and she’ll get the shipping costs for you. (928) 583-0254. Or, fill out the contact form with your shipping address and number of Work Factories you’ll order and we’ll get back to you. The Worm Factory is made in USA and has a 10 year warranty on parts and manufacturing. This entry was posted in A New Homestead and tagged compost, homesteading on July 21, 2014 by Homesteader's Supply.